I am an Inspired Science Teacher. I will let my students know that science happens every day, not just from 1:20 to 2:20 on Thursdays. I will do more experiments. I will let the children explore the world around them. I will integrate science with math and technology. I will read picture books and poems in science class. I will use all the materials I have. I will scavenge my closet and my garage for things I can use. I will find more ways to engage all students with lively activities. I will utilize my colleagues, and use my knowledge of science to share ideas with them. I will have my children living and thinking science all day. Last night I facilitated my very first Inspired Teaching workshop all by myself. It's called Science across the Curriculum. The syllabus says that teachers will learn to integrate math, literacy, and science. The teachers reminded me that science also touches so many other content areas--geography, history, art, ethics, theology, and philosophy, among others. Our class started with the teacher participants sharing their 'Science Autobiographies.' Each illustrated themselves as a scientist--one would be a food scientist, another an experimental physicist, a third an earth scientist. Each shared their common joys and frustrations of teaching children to explore, investigate, and understand their world. The frustrations: too little time to dedicate to the luxury of letting children experiment through play; too few supplies, books, and other material supports for hands-on activities; and too little preparation in their teacher education. The joys? Many spoke of the pleasure in witnessing the emotions of children engaging in scientific concepts--what other subject can bring out fear, wonder, disgust, and curiosity all in one lesson? Others acknowledged that they enjoyed the ethical responsibility of teaching environmental stewardship. And one teacher, who, like me, sort of backed into her role as a Science Teacher, said that the "best part of teaching science is learning along with the kids!" Now *there's* an Inspired Teacher! RESPECT... on the first day of school, (the first day of my life as a teacher) this was the only rule I posted on the wall. I would find out years later that my colleagues had laughed at this incredibly optimistic stance on classroom discipline. There were plenty of moments during that first year when I felt like laughing about it too. But if you really look at all the rules you have posted in your classroom - at the end of the day they do, in fact, boil down to this magical word. The trick is in getting your students to understand how weighty and comprehensive the word "respect" can be. In my classroom it didn't start out as a word with much heft. Many of my students had not had a lot of experience with respect in their lives. (And they were in high school!) They felt disrespected by their teachers, disrespected by their community, and with few better examples to follow, they took to disrespecting one another. Showing my students respect was an exercise in patience and humility because at first it was rarely a courtesy they returned. I'd stand in the hall and welcome them to class, they'd push past me and grumble about how much they hated school. I'd quietly wait for their attention, forcing myself not to raise my voice, but they'd keep talking as if I wasn't there. Sometimes the noise got so bad neighboring teachers would come in to silence them with a threatening scream. It was hard not to notice the effectiveness of their method. Still, I waited for the golden day when my method would prevail. It took a long time. Longer than I thought. Respect and trust go hand in hand and trust is not built over night. My students had to learn to trust that my respect would not give way to the yelling, punishing, demeaning behavior they were used to in other classrooms. Respect was just another "teacher" word on my wall until they began to believe in what it meant. Trust was earned as much in the class as it was in the hall, at the football game, after school, in the grocery store. When they realized that I was the same person in all those contexts, that my respect for them was unfailing, they began to share their trust and respect with me. I certainly didn't survive the whole first year without yelling now and then. But I had built enough of a trusting relationship with my students for them to forgive these moments, and sometimes, even take responsibility for the actions that brought them out in me. Here are this week's funding opportunities for students, teachers, and schools. Please note the Learning & Leadership Grants included below. These are designed to fund high-quality professional development training (like our groundbreaking seminars, workshops, and ongoing programs!) for teachers, education support professionals, and higher education faculty and staff. Make sure to spread the word about this grant and other highlighted opportunities. The World of Children Awards were established to honor individuals or a group of individuals who devote their lives to children. In order to identify such individuals, World of Children annually announces a call for nominations for three award categories -- the World of Children Health Award, the World of Children Humanitarian Award, and the Founder's Award. The WOC Health Award is for those providing services specifically in the fields of health, medicine, and pediatric sciences. The Humanitarian Award is specifically for education and social and humanitarian services. The Founder's Award is specifically for a young person under the age of 21 who has provided exceptional services/support to other children. In November 2007, World of Children will gather the selected honorees together in New York City for an award ceremony and presentation of the two separate $50,000 awards and two $15,000 Founder's Awards. Visit the World of Children Web site for complete nomination guidelines. Sponsored by State Farm and coordinated by the National Youth Leadership Council, Project Ignition gives students in grades 9 through 12 and their teachers the chance to work together on service-learning projects to address the issue of teen-driver safety. The competition is designed to help teens spread their own words of driver safety and, in the process, win grant money for their schools. Participants create and produce innovative public-awareness service-learning projects based on Teen Driver Safety. Students must create the project with the support of a teacher/advisor and the school/organization. Please see website for complete information. Learning & Leadership Grants provide opportunities for teachers, education support professionals, and higher education faculty and staff to engage in high-quality professional development and lead their colleagues in professional growth. The grant amount is $2,000 for individuals and $5,000 for groups engaged in collegial study. The next application deadline is June 1, 2007. Take advantage of this opportunity and you could possibly receive funding that can be applied to Center for Inspired Teaching's innovative and ongoing professional development programs!! The National Teachers Hall of Fame annually honors five teachers who have demonstrated commitment and dedication to teaching. Anyone may nominate a teacher. Inductees receive a $1,000 stipend, $1,000 in materials for their school district, a $1,000 scholarship for a student in the inductee's school district who is planning to pursue a degree in education, and more. Candidates must be certified classroom teachers (active or retired) with at least 20 years experience teaching in grades preK-12. Serve DC announces Learn and Serve America K-12 School-Based and Community-Based funds for mini-grants up to $7,500. Learn and Serve America is a program of the Corporation for National and Community Service that supports service-learning in K-12 schools, higher education institutions, and community-based organizations. Service-learning activities engage young people as change agents and civic learners through addressing community needs. Proposed programs will strengthen communities through partnership development, address specific community needs, and promote positive youth development. Serve DC has scheduled three optional, recommended technical assistance sessions for mini-grant applicants. The schedule for sessions is as follows: One Judiciary Square, 441 4th Street NW, Conference Room 1114 South, from 5:00-6:30 PM on March 21, 2007, March 26, 2007, and April 9, 2007. Frequently Asked Questions will be posted on the Serve DC website. Applications can be obtained starting at 9:00 AM on March 9, 2007 from the Serve DC office at 441 4th Street NW, Suite 1140N, Washington, DC 20001 or downloaded from the Serve DC website. For additional information, or to RSVP for a training session, please contact Kristen Henry, Learn and Serve Coordinator, at (202) 727-8003. Hello and welcome to a new and recurring feature of the Inspired Teacher Blog! I'll post information on potential scholarships, grants, awards, in-kind donations, and many more opportunities every FUNdraising Friday! If you have any comments, please do not hesitate to post these on our blog. Continuing in its efforts to serve in the community, Foot Locker Foundation, Inc. has partnered with UNCF to fund this scholarship program for high school seniors or students attending or planning to attend a UNCF member college or university during the fall of 2007. The Sister Thea Bowman Foundation has four scholarships for African-American single mothers and their children to attend the College of St. Mary in Omaha, Nebraska. The Foundation will grant $30,000.00 over a period of fours years to the College of St. Mary on behalf of each student. In return the College of St. Mary will match the grant with an additional $24,000.00. To learn more, please contact Mary Lou Jennings Executive Director of the Sister Thea Bowman Foundation at marylouj11@aol.com. Youth Venture, the partnership with Bill & Melinda Gates Foundation and MTV Tr3s Voces, challenges youth to take action by forming teams to conceptualize and implement projects aimed at encouraging Latinos to graduate from high school and prepare for college and careers. Teams of two or more youth, ages 13-20, are selected every week through June 29, 2007. Awards up to $1,000 are available. In addition, the top five teams will receive scholarships of up to $5,000 to be divided among the team members. For further information visit Youth Venture. The Southwest Airlines Adopt-A-Pilot program is a four-week program that packs math, science, geography, history and creative writing into a sky-high educational adventure for hundreds of classrooms across the nation. Developed primarily for fifth-grade classes, the program unites students with Southwest Pilots to explore math, science and more. For four weeks, students track their adopted Pilot’s journey and complete curriculum developed in cooperation with the Smithsonian’s National Air and Space Museum, the National Association of Teachers of Math and Science, and other education specialists. Students apply these subjects to aviation activities, made meaningful by their interaction with a real Pilot. The Gloria Barron Prize for Young Heroes honors young people between the ages of 8 and 18 who have shown leadership and courage in public service to people and our planet. Past awards focused on young people helping their communities, fellow beings, and protecting the health and sustainability of the environment. Approximately, 10 awards up to $2,000 are available. The deadline to submit nominations is April 30, 2007. For further information, go to the Gloria Barron Prize website. Description: This award is bestowed on special education teachers who have demonstrated outstanding achievement as a teacher in the field of special education. It recognizes and rewards the special skills and excellence of special education teachers throughout the United States. Procedures for Recommendation: Nominations for this award should be submitted to NASET's Awards and Nominations Committee via Online Award Nomination Form by May 1, 2007. The committee will review all applications and then determine its award recipients. 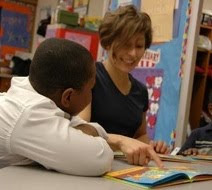 The Turnaround Management Association, an international nonprofit dedicated to corporate renewal and turnaround management, recognizes outstanding elementary and secondary teachers with the Butler-Cooley Excellence in Teaching Award. Made possible through the John William Butler Foundation, the program honors teachers who have demonstrated exceptional dedication and skill in shaping the lives of students and the communities in which they live. The program provides cash stipends of $5,000 each to three to five public or private school teachers and travel and lodging expenses to the 2007 TMA Annual Convention in Boston, Massachusetts, October 16-19. The American Psychological Foundation is a nonprofit philanthropic organization that advances the science and practice of psychology as a means of understanding behavior and promoting health, education, and human welfare. APF is seeking proposals for programs that support the science and application of psychological science among talented high school students. More than two hundred thousand students are currently enrolled in high school psychology, and APF wants to support high-quality education in the field and to nurture the next generation of psychologists. Up to $30,000 will be available for projects. Applicants must be educational institutions or 501(c)(3) nonprofit organizations, or affiliated with such an organization.